What is it about using the karate metaphor to depict Silicon Valley infighting between tech geeks? 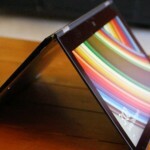 In March of 2010 , the New York Times used the ju-jitsu theme to depict the fight between Google and Apple over smartphones. 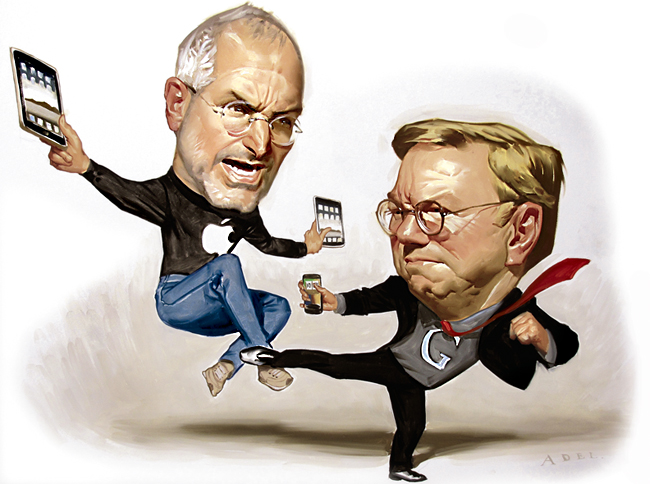 As you can see below, the late Apple CEO and co-founder Steve Jobs faces off with an iPad and iPhone against then-CEO (and now Executive Chairman) Eric Schmidt, who is armed with an Android device. Jobs gets to do the cool, in-the-air kick. 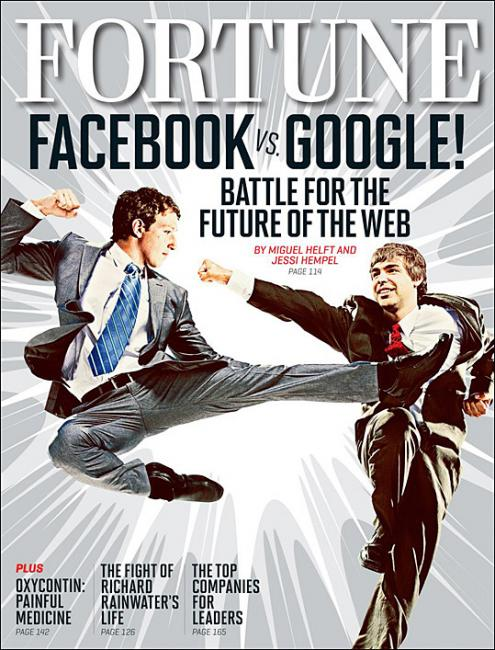 Now, this week, on the cover of Fortune magazine, it is Facebook’s CEO and co-founder Mark Zuckerberg doing the floating hi-yaaa against Google CEO and co-founder Larry Page. Leaving aside the fact that neither ever wears suits to do anything, let alone karate, it’s almost exactly the same, as you can see below. Personally, I would have used Nerf guns at dawn.